Websites aren’t just meant to look good — they are meant to be easy to use for everybody: people who rely on speech, are color-blind or live with dementia. There is no such thing as a normal user, or average user: keeping our content accessible to whatever comes into user’s way is critical for keeping content future-ready. 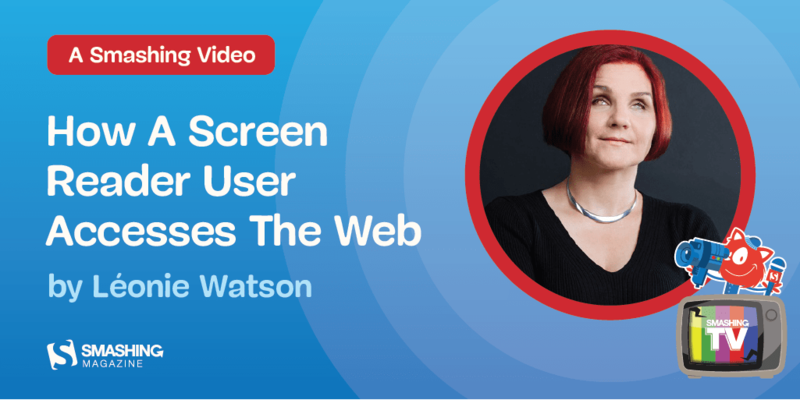 February 18, 2019 — In this Smashing TV webinar, join us with Léonie Watson as she explores the web alongside some unexpected properties of HTML elements that have a huge impact on accessibility and performance.